Heavy Duty Loop, uses Steel 1.5mm Cable and a Cable Support; to create an immensely strong picture hanging cable. Prices from £2.49 for 1m lengths; up to £4.49 for a 5m length. Can be custom made to any length. 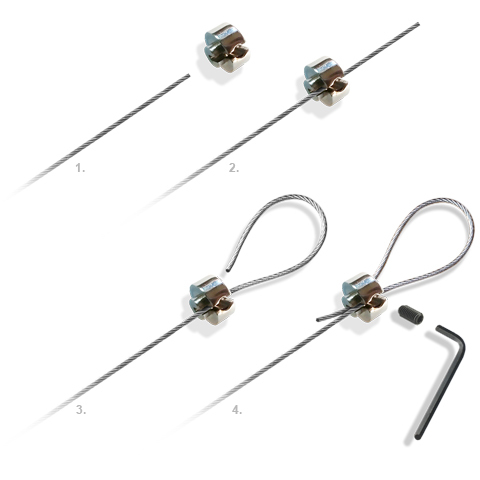 Note: Cable Support can be removed using an Allen Key, to re-use or adjust existing / new steel cable.